Summer in Huntley can be a great time for families, and you can spend hours at the Stingray Bay Family Aquatic Center or playing at nearby Deicke Park. When you come home after a long day, you want your house to be cool and comfortable. If your air conditioning isn’t working properly, then your fun summer day can quickly turn sour. At G&R Heating and Air, we can provide cooling repair when you need it most, and we’ll get your system up and running in no time. 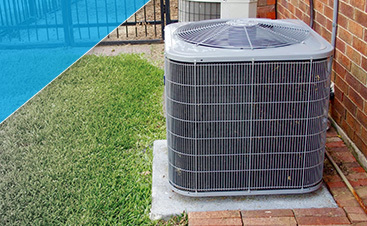 Your AC unit may be running, but there isn’t enough cool air flowing through your house. Your system may be struggling to keep up with the heat, or there may be a problem with the blower motor. If you notice that there’s more cool air in one part of the house than another, then please give us a call right away. We can make sure that your system is working at optimal efficiency, and that you’re not sweating all summer long. 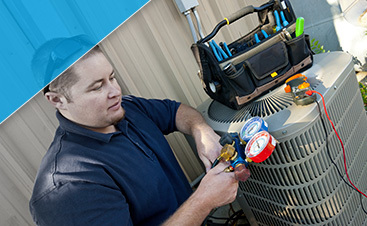 When it comes to your AC unit, the last thing you want is to hear strange noises coming from it. 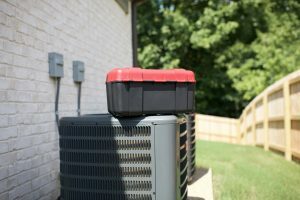 If you hear banging or grinding, or it makes a lot of noise when it’s starting up or shutting down, then it’s important to have a certified HVAC technician take a look at everything. We can properly diagnose any noise, and provide the necessary repairs to take care of it and ensure that it doesn’t return. If the time has come to replace your cooling system, then you’ve probably been shopping around for new options. Our team can help you choose the right one based on your needs and your budget, and we’ll take care of removing your old AC unit and putting the new one in place. If you’re remodeling or adding on to your home, we’ll make sure that your new cooling system is ready to go once the project is complete. 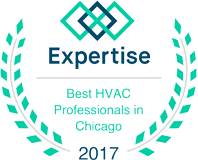 When you need AC repair in Huntley, please don’t hesitate to call us!